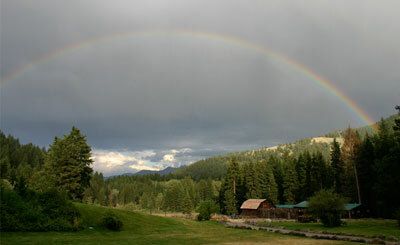 Since 1929, Mountain Sky Guest Ranch has offered guests Montana’s majestic natural setting and a chance to reconnect with the land – and each other. The ranch boasts an 80% guest return rate year after year, and they achieve this through a recipe that is one part breath-taking scenery, two parts fine dining, a generous portion of activities ranging from GPS Orienteering Courses, Low Ropes Course Activities, and full scale corporate team building at your conference. All of this is topped off with their single most important ingredient — staff interaction that often leads to lifelong friendships with guests. Located just north of Yellowstone National Park in southwestern Montana, they offer guests more than 8,000 acres of beautiful, rugged countryside that backs up to the pristine Gallatin National Forest. Whether you experience this landscape on a Corporate Rock Climbing Adventure, or building and racing your own wagon they are confident that you’ll truly get a quality taste of the western lifestyle.